Spray painting on a random wall…..not the best idea. Spray painting on our Digital Graffiti Wall…GENIUS….and totally okay!! Our latest technology allows you to combine photos AND graffiti art (minus the mess) onto our HUGE 10ft x 7ft wall. 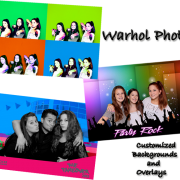 Your photo experience and Party Favor for any special event. 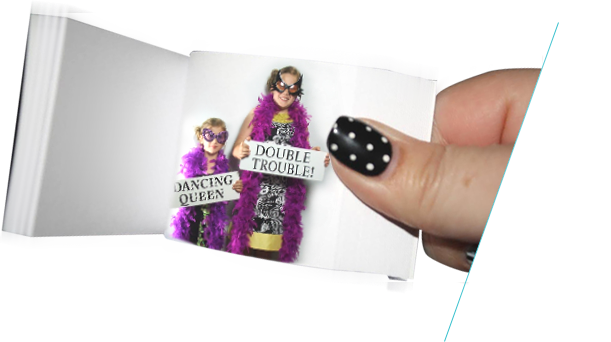 A Flipbook is a unique form of animation, essentially a motion picture in the palm of your hand. 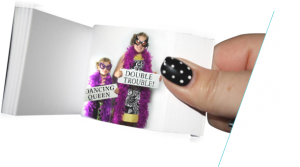 We setup our Flip book studio to record and instantly (within a few minutes) create a party favor for all types of events. Virtual photographer Photo Booth on CRACK! 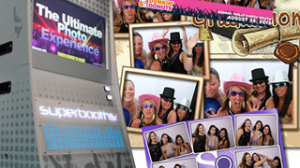 The Superbooth will surpass your expectations and go above and beyond meeting all your private and corporate event needs. SuperBooth can provide customized photographers and templates based on your brand, location, activity, and/or spokesperson/mascot. 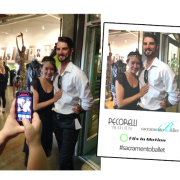 Once the guest selects their photographer and template, the photo-shoot begins! Your guests already use Instagram and Twitter to upload photos daily! 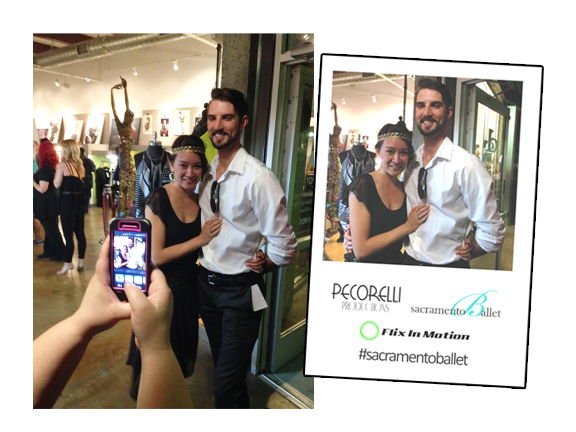 Guests can use their own smartphone, upload their photo with a specified #Hashtag and watch their photos print out during the event. This allows your guests to be YOUR roaming photographer!